We are happy to share this post from our friend Dr. David Delaney, who shares his thoughts on our Holy Father’s first homily. 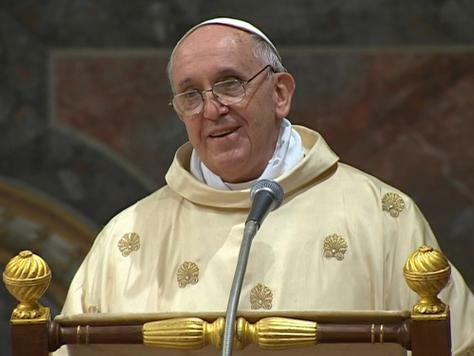 To read the actual text of Pope Francis’ homily click here. Listening to our Holy Father’s first homily, I was struck by what he emphasized and how this may possibly suggest what will be the emphasis for his pontificate. Perhaps it also may help us to understand more deeply his choice of St. Francis as his papal name (assuming Fr. Lombardi’s statement is correct that he chose the name in honor of St. Francis of Assisi rather than St. Francis Xavier). Our new Holy Father Francis emphasized in his homily the need for conversion and discipleship (albeit he did not use the term disciple this is what he described). 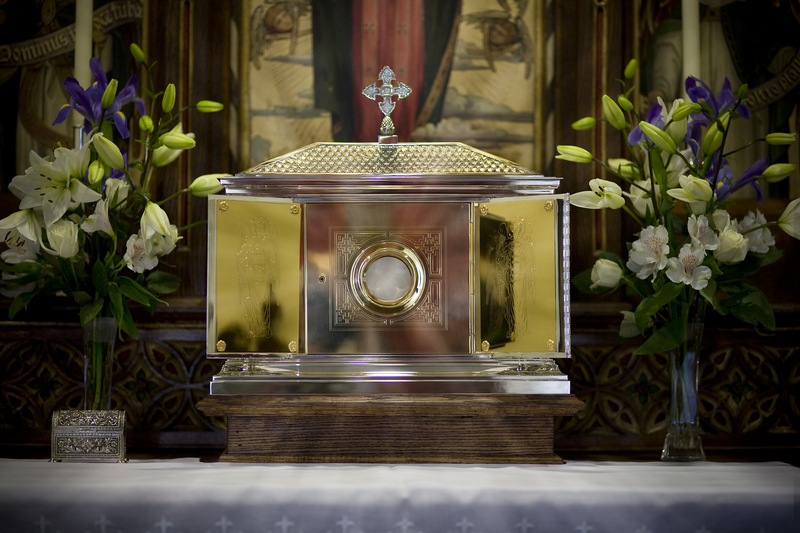 He declared that we must witness Christ to this world. Strikingly, he stated that when we are not witness for Christ then we are witnesses for the devil. This is a profound statement! Francis is declaring that for the Christian, there is no neutral ground. If we do not explicitly preach Christ then we are doing the devil’s bidding. This is the very poison with which secularism attempts to salt us. The new evangelization means that we must reject any temptation to go along in order to get along. 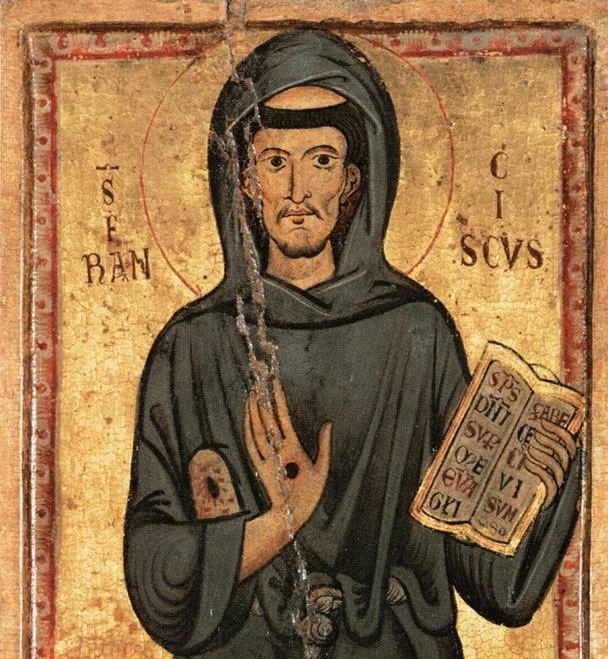 Francis qualifies the preaching of Christ. He tells us that if we do not preach the Cross then we preach another christ. I suspect that this is a hint about the selection of his papal name. St. Bonaventure recounts the vision by which St. Francis receives his stigmata as that which indelibly marks him with a devotion to Christ Crucified. It was Christ Crucified who Francis and his little band preached in order to rebuild Christ’s Church. It seems to me that Pope Francis is emphasizing the pressing need for the Church to be the agent for overcoming secularism. This may very well be Pope Francis’s approach to the new evangelization, preaching Christ Crucified in word and deed. Finally, Pope Francis warns us that our life in Christ can never be static. That is, if we are not moving forward on our journey toward conversion and communion with Christ, then we are moving backward, we are losing ground. This truth confirms us in our need for perpetual zeal in living for Christ and His Cross and for witnessing this same life to the world. Pope Francis’s life of poverty is his living witness to the Cross. It is a rejection of the siren song of self-sufficiency, which is a perpetual danger for those of us who live so much “in the world” that we slip into being “of the world.” His solidarity with the poor expresses and lives out his solidarity with Christ Crucified and at the same time, is an inoculation against the temptations of the world, that is the devil. This must also be our attitude for the new evangelization. We cannot adequately preach Christ if we do not know Him intimately, if we do not allow ourselves to experience His Cross through poverty of spirit. We must know Christ Crucified if we are going to be authentic witnesses to Him.